Seventh in a series on what Harvard scholars are doing to identify and understand inequality, in seeking solutions to one of America’s most vexing problems. Sixteen years into the new millennium, many white Americans see racial and ethnic inequalities as belonging to a bygone era of blatant discrimination and legal segregation that ended with the Civil Rights protections enacted a half century ago or more. 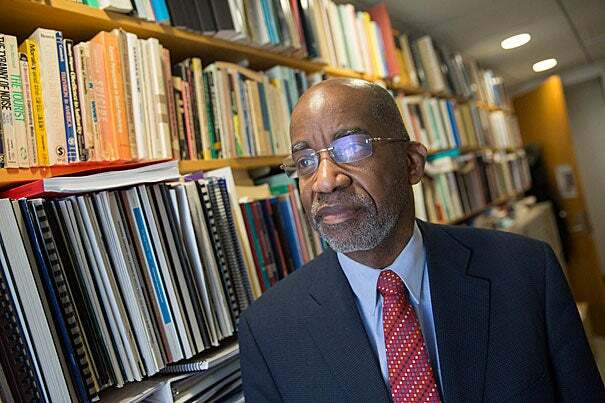 The popular thinking goes that the reasons African-Americans and Hispanics nationally lag behind in income and wealth, in health and education, have to do with their own “personal shortcomings,” in the words of Harvard sociologist William Julius Wilson. Public opinion has hardened so much that Harvard scholars who’ve researched racial and ethnic inequalities feel they must take it into account when asked to propose solutions to those ongoing disparities. The scholars factor in how to reframe the public conversation to make their suggestions politically acceptable. Rather than advocate approaches that target racial or ethnic groups, these analysts instead offer broader solutions directed at disadvantaged neighborhoods or classes of people. The scholars are inclined to promote practical, place-based initiatives to bring programs and services to particular areas. For African-Americans and other minorities, the promise of equality is always around the next bend ― along with, it generally seems, the next political roadblock. Williams sees racial and ethnic inequalities as a stark matter of faster life and quicker death. Since 1950, the black-white gap in life expectancy has been halved from eight years to four, but it would take another 30 years for the life spans to become equal — if the average longevity of whites remains static. The longer that Hispanic immigrants live in the United States, the less healthy they become. Their health status is similar to whites’ when they arrive, but over time deteriorates to a level almost as low as blacks’. Subsequent generations born in America are less healthy than their immigrant forebears. Harvard public health professor David Williams works in the Kresge building at the Harvard T.H. Chan School of Public Health. Kris Snibbe/Harvard Staff Photographer. What are those stressors? Much attention has been paid to income inequality affecting all Americans, more so people of color. But for blacks and Hispanics, Wilson and Williams said, the wealth gap is wider and more significant. 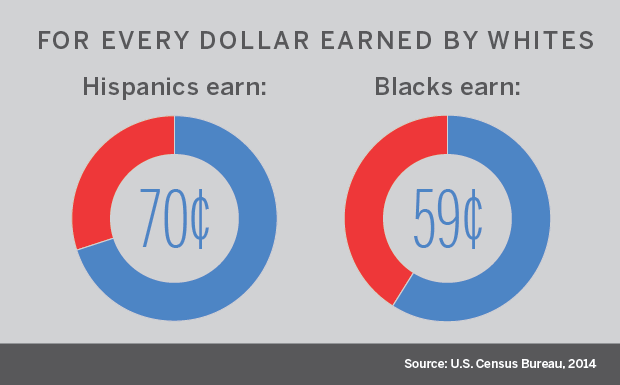 A 2014 census report showed that Hispanics earn 70 cents and African-Americans earn 59 cents for every dollar whites earn. For African-Americans, the disparity is the same as it was in 1978, according to Williams. Another report from the Census Bureau indicated that in 2013, “For every dollar of wealth that white households had, Hispanic households had seven cents, and black households had six pennies,” Williams said. Taken together, the two sets of proportions peg the wealth gap as 10 times larger than income inequality for African-Americans and Hispanics. Possessing minimal assets causes insecurity and stress over how to cope with life’s ups and downs. “It’s the wealth gap. That’s where the real problem is,” said Wilson, the Lewis P. and Linda L. Geyser University Professor. One factor in the current gap was the Great Recession, in which African-Americans and Hispanics, having been disproportionately targeted for subprime loans by mortgage brokers, lost billions in wealth through home foreclosures. Another factor Wilson cited was the “growing deterioration of the conditions of poor blacks” and their isolation in impoverished neighborhoods. Before 1970, blacks lived in mixed-income neighborhoods more often than any other racial-ethnic group, Wilson said, but now they are the least likely to do so. Hispanics are also concentrated in low-income urban neighborhoods. 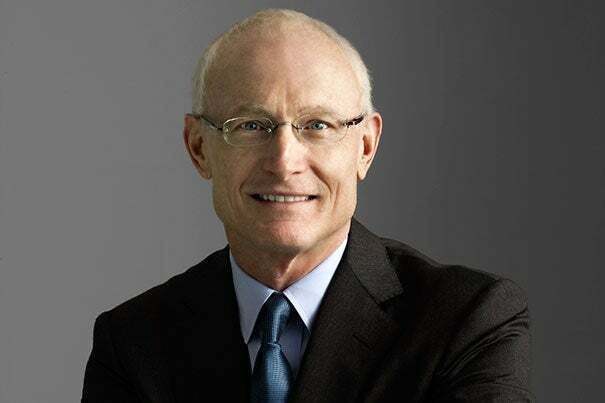 The Initiative for a Competitive Inner City (ICIC), which Harvard Business School Professor Michael E. Porter founded in 1994, has calculated that 37 percent of the nation’s inner-city residents are Hispanics and 31 percent are African-Americans. Through the school years, both minority groups are on the short end of achievement gaps when compared with whites and Asians, and have higher dropout rates. Driving the high Hispanic dropout rate are deficiencies in bilingual education and the expectations of immigrant parents that teenagers work to help support their struggling families. The biggest education gap for both groups is how much schooling they complete. In a knowledge economy that greatly rewards the better-educated, 50 percent of Asians and 29 percent of whites have earned a college degree, compared with 18 percent of blacks and 13 percent of Hispanics, according to the Census Bureau. 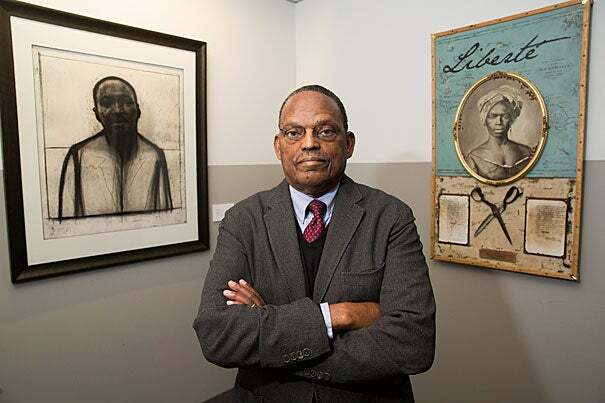 Because Williams believes that health disparities represent the cumulative impact of other inequalities, he calls for solutions that stretch traditional medical care and public health policy. His first step, though, would be universal access to insurance coverage. He favors a single-payer government system. His next step? “Quality early childhood education for all, especially for those who are coming from low socioeconomic backgrounds who could not afford it,” Williams said. That initiative would start before birth with home visits by nurses who would counsel pregnant women on health and other matters. From education research on achievement gaps, Ronald Ferguson has arrived at a similar conclusion. “Racial and socioeconomic and gender skill gaps are clearly apparent in the national data by the age 2. So you have to start prenatal to deal with these things,” said Ferguson, adjunct lecturer in public policy at Harvard Kennedy School (HKS) and faculty director of Harvard’s Achievement Gap Initiative. In 2015, Ferguson launched a local collaboration, Boston Basics, that encourages the city’s parents to adopt five best practices in their homes to “help give children equal life chances.” They are simple activities such as “talk, sing, and point” to build communications skills, and “read and discuss stories” to enhance comprehension. As part of Boston Basics, the Boston Public Health Commission is making home visits to expectant mothers in distressed families to teach them those practices — much as Williams envisions. Ferguson advocates attention to the “social ecology” in settings where children spend time — home, school, community centers, and health centers, for example. He distinguishes that approach from a strictly neighborhood-based strategy. To improve education, Wilson endorses a strategy initiated by the Obama administration, Promise Neighborhoods. These are designed to build “a complete continuum of cradle-to-career solutions of both educational programs and family and community supports, with great schools at the center,” according to the U.S. Department of Education. “I think that the Promise Neighborhoods is built on the premise of providing people with the opportunity so that they can improve their life chances,” Wilson said. Williams urges the broad improvement of schools serving disadvantaged students by assigning more quality teachers to instruct them — because those students have the greatest needs. Wilson called for increasing the number of “programs that provide greater opportunity for occupational mobility.” Specifically, he endorsed the model of Career Academies, small, theme-based high schools that offer academic and career-oriented courses related to engineering, law, business and finance, or health sciences. 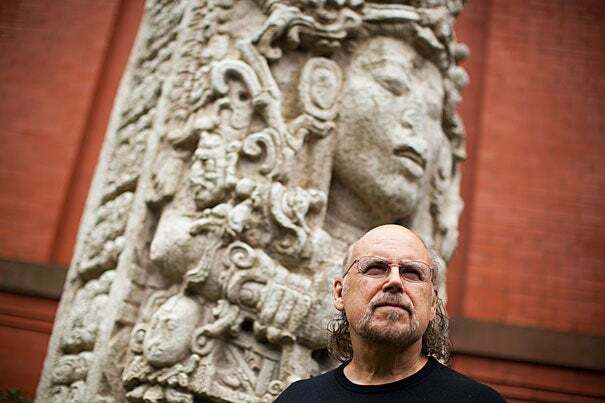 Davíd Carrasco, the Neil L. Rudenstine Professor of the Study of Latin America, also considers better schooling a central strategy. “Education is really one of the keys for Latinos to deal with the whole question of inequality,” said Carrasco, whose grandparents emigrated from Mexico. Those improvements in early childhood experiences and schools are intended to better prepare African-American and Hispanic students for postsecondary education. Earning a college degree, on average, lifts income over a lifetime. But Wilson sees a need to do more to address racial and ethnic inequalities in income. Beyond government programs, government fiscal policies also need to change, Wilson said. 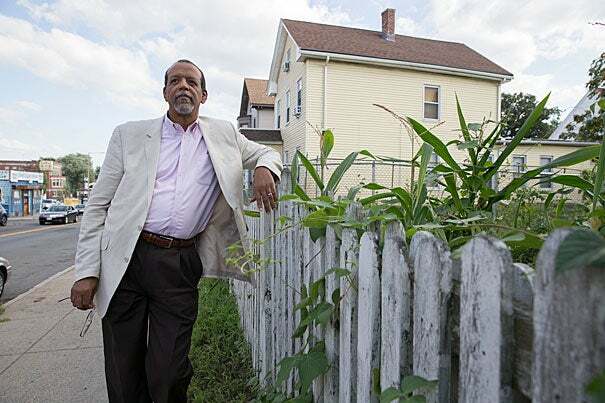 Porter, who is the Bishop William Lawrence University Professor at the Institute for Strategy and Competitiveness at Harvard Business School, has been working for two decades to lift income and wealth levels in poor urban neighborhoods using a market-oriented approach rather than a government-driven one. After the Los Angeles riots in 1994, Porter founded the ICIC in Boston to increase business activity in urban areas with low income levels and high poverty and unemployment rates. Porter discovered unrecognized competitive advantages in inner cities: a lower-cost location close to downtowns and tourist sites, a consumer market with dense populations balancing lower incomes, and the presence of anchor institutions such as major hospitals. The ICIC has helped provide management training to bootstrap entrepreneurs and connect 834 companies with $1.3 billion in capital. Since 1999, it has published the annual Inner City 100 list to promote awareness of fast-growing companies in the urban core. Porter is a fan of a government program that takes a market-based approach to inner-city neighborhoods, the empowerment zones created in the Clinton administration that give businesses financial incentives to locate in those areas. Williams also advocates economic development in disadvantaged neighborhoods. But he wants a direct government approach, similar to the Marshall Plan the United States undertook to help rebuild Europe after World War II. “We also need to fix neighborhood environments. In some neighborhoods in the United States, it’s difficult to live a healthy lifestyle,” Williams said. Wilson, an African-American who grew up poor in Pennsylvania, cannot imagine much progress being made on racial and ethnic inequality without a change in how the problem is framed in the public mind. Carrasco suggested the prevailing mindset could be changed from the bottom up. “Part of the solution is a social movement. You need social movements among Latinos,” he said. Wilson has not given up hope despite seeing limited change in the economic position of African-Americans during his 80 years. The Weatherhead Center for International Affairs is funding a new interdisciplinary initiative on the study of gender inequality, among whose six participants are Claudia Goldin, Henry Lee Professor of Economics (not pictured), Alexandra Killewald (left), an associate professor of sociology, and Mary Brinton (right), the Reischauer Institute Professor of Sociology and chair of the Department of Sociology.